Client agrees to pay Reliable Lien Search, Inc $145.00 processing fee for all Florida Counties except the Tri-County Area of Broward, Miami-Dade and Palm Beach Counties ($215.00 and up fee applies to Tri-County Area). Rush Service, Lien Payoffs, Additional Addresses, Additional Municipalities and Ledgers may result in additional fees. Invoice wash agreement not to exceed 20% of ordered searches within 60 days. All invoices in excess of the 20% cancellation limit to be paid immediately or upon account reconciliation. Requests made in error by client such as wrong addresses and/or incorrect folios will not be included in wash agreement and will be due in 30 days. Requests submitted and processed as Rushes, Promotional Discounts or Multi Property Projects will not be included in wash agreement and will be due in 30 days or closing, whichever comes first. Client agrees to pay Reliable Lien Search, Inc $75.00 processing fee per folio with correct contact info provided upon ordering; $90.00 if we have to ID the contact. Master association fees, sub association fees, attorney payoff fees and/or any other 3rd party fees involved with expediting your requests will apply. Client agrees to pay invoices in 30 days from order date or at closing, which ever comes first. Reliable Lien Search holds no liability for payoffs and/or property findings given to us by Associations,Sub-Associations and/or Attorneys’ offices in containing errors or omissions. 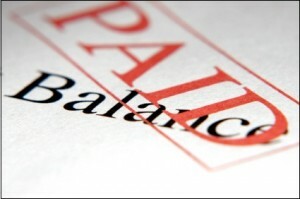 Invoices are billed separate from all other services and not included in wash agreement. Client agrees to pay Reliable Lien Search, Inc $75.00 processing fee per folio plus City fees, County fees and/or any other 3rd party fees involved with expediting your requests. Client agrees to pay invoices 30 days from order date or at closing, whichever comes first. Invoices are billed separate from all other services and not included in wash agreement. Client agrees to the hourly fee of $75.00, with a minimum charge of $375.00 to research the permit(s) closing requirements reported by city and/or county. This fee will be allocated per permit NOT per file. ‘Permit closing’ services provided by R.L.S includes: researching, contacting building officials, gathering and submitting plans and/or required documentation, renewing-owner/non-contractor permits and scheduling of inspections. Reliable Lien Search minimum service or hourly fee does NOT include advancement of fees to City or County to renew, reopen or any other 3rd party fees involved or necessary with closing of permit(s). Invoices are billed separate from all other services and not included in wash agreement. Minimum service fee for a land survey and elevation certificate is $425.00. This fee is to be collected prior to or at the time service is commenced. Invoices are not included in wash agreement.